See why 120,000 churches have used Sharefaith over the last 14 years! Sharefaith Reviews contains a current list of actual user reviews on Sharefaith, it's products, services and support as well as well as web hosting reviews for churches. Over the last 14 years, Sharefaith has served nearly 120,000 churches globally, repeatedly won awards for excellence and service, and continues to excel in user satisfaction. These reviews for Sharefaith clearly show why our customers love our all-in-one church resource, covering their entire worship media, kids, outreach and tech departments. All these Sharefaith customer reviews will make it clear that Sharefaith is the right decision for you and your ministry! Cyndi Gail Roop Bloise: "Thanks, Sharefaith! We have had such trouble getting a website off the ground because we want to do it ourselves and someone has promised that WordPress is all we need. However, it has been too much of a learning curve with no immediate success. In a short period of time, we have learned how to use SideKick and we have a good bit of our website up already. I love that it can be up while it is still under construction. From decision to invest in our website through Sharefaith to live website was approximately a month due to domain transfer and removal of previous pastor as the contact, but once that was completed, it only took DAYS to get basic information on the website. Every day, we can add a little more at a time. It is awesome!" Karina Free: "The quality of Sharefaith materials are very professional and sharp looking, this is a great bang for your buck when you bundle everything into one." Phillip Eckstein: "I can not say enough about the patience shown me by the support team. A definite 10 out of 10. I am looking forward to having them on my side to further Paradise Pointe Ministries in our efforts to reach others with God's message." Rickey Shaw: "TREMENDOUS!!! I feel GREAT and totally enthused with the resolution that the Sharefaith Team has applied! It took a little work but the result is that the product/service is what it is supposed to be. Being young at "this stuff", it'll take me some time to learn how to effectively use this awesome tool for the cause of Christ." Cheryl Fields: "The service was fantastic. My representative helped put my fears to rest and helped me to see we weren't far from doing the things we needed to be doing." UMC Red Bank: "Cristian was fantastic! Along with expertly solving my issue, he even gave me great ideas for other aspects above and beyond my initial request. You all are awesome!" Samantha Bruce: "Ryan was awesome at helping us fix our issues. Keep up the good work." John Lester: "I submitted a request and received an answer in a VERY SHORT time. Thank you so much!" Kristina Dutton-Gibbons: "Hello! I am the church administrator & media lead for Heart of the Valley Christian Fellowship Church. I would just like to personally thank you and your wonderful staff! I stumbled upon your services a year or two back and suggested that our church make the switch from what we were currently using. When I proposed the change, many worried that what I'd found on your site sounded too good to be true; however, the potential to expand our social media and web presence was too good to pass up without at least trying. In no time at all, we discovered that we were saving quite a bit of money using your all inclusive "complete package" and gaining so much more than we previously had. With each new update and added feature, we feel even more blessed that we use your services to reach our congregation and share the Word of Jesus Christ. I cannot express our gratitude enough and am awestruck at how functional every aspect of your complete package really is. When I do find that I need extra assistance with some facet of the service, beyond your tutorials and FAQ's, as I recently did utilizing your church App service, the customer service has always been top notch. They are very friendly, courteous, knowledgeable and very quick to assist! Kudos to Sharefaith for all that you do to help churches reach out to the masses in a positive and effective way. God Bless!" Igbattmho Hope: "Great customer service. Sometimes small accounts don't get good service but this was not the case. Great customer service and no question was to simple for them to answer." Db Pierce: "Ryan, thank you so much for all your hard work today and getting my questions answered in regards to our problems with uploading the sermons. Really appreciate you getting a squared away. But of course I always liked working with the Sharefaith team. Sharefaith is our website (which is amazing) and I like the modifications, we lightly are using the app announcing sermons etc and will progress there soon. Also delving into the Sharefaith Kids stuff and we are learning that one. Another perk of this company is the backdrops (media). The images are multiplexed and I appreciate the multi-ethno images. We have a blended church and it is nice to represent our cultures. Stay the course y'all and thanks for the value, service and family feel of the business model." Kanji Copeson: "I just want to express my gratitude for Sharefaith & your faithful business & effective attention to customer service. Today I had the best tech support help of my life with my brother Cristian! And Kristen has done a fine job setting me up & helping me get my site going. I'm just an individual with an unofficial ministry, but now I have a beautiful website at an affordable rate with pre-eminent customer service! I couldn't be happier. Thanks again.."
Hope Springs Church: "I just have to say that Cristian has been a tremendous, seriously tremendous team player and guide. He isn't our direct coach but he coached me through a tone of stuff in a short amount of time. I hate giving reviews, just don't like taking the time. You guys are doing a great job as a company and have so much to celebrate as you tackle the things your developing. WIN WIN." Matthew Pope: "We love Sharefaith and everything they have to offer. This experience was just as great. Great team!" Diana Burgos: "Very helpful, went above and beyond and helped me resolve an issue. Thank you!" Garry Tammy Simerly: "We use Sharefaith for our Sunday School curriculum...it is AWESOME!" Jeannie Harris Vogel: "We run a small non-profit that ministers to about 180 churches. We have no IT guys or graphics staff, but Sharefaith has helped us make our programs, flyers and communication pieces look professional. Thanks so much." Karina Free: "Our church is loving the Sharefaith bundle so much, thank you for putting this together and making it easier for smaller churches like ours!" Db Pierce: "I SOOOOO love the help Tori gave a few minutes ago. I was really struggling to get the sermon player organized to a sensible usability. She walked me through it multiple times till I got it correctly and I was simply filled with GLEE!!! She also got my app page connected with the sermon player stuff and troubleshot a problem there, too. ALSO when she ran into an area she was not familiar with, she did what EVERYONE should and simply ask another person who may know. Love this gal for her servitude and a person like her supports the reason we went to Sharefaith in the first place. Been here since 2012 and will be till Jesus comes to get us. Value 101. THANKS TORI. YOU ARE A ROCKSTAR. Y'all need to switch to Sharefaith, like NOW!" Janet Alexander Anderson: "Super excited with my new membership to Sharefaith. This will greatly help me create items for the church. Thanks Sharefaith for all the support you've given me in making this decision." Dustin Geletko: "Sharefaith has been a great experience, especially support. Questions are answered quickly, clearly, and concisely." Katie Barnhart: "Thank you for your quick response and help!" David Kropp: "Your staff is always extremely helpful and quick to reply. Thank you so much for the support you offer." Steph: "Matthew was friendly AND knowledgable, and sometimes those two things don't come together. More people like Matthew, please! You guys are such a blessing to us and our ministry - thank you!" Karyn Sloas: "Great customer service!!" Jonathan Guy: "Matthew was awesome, and went above and beyond to help me out." Cody Hinton: "Matthew was great. Very patient and helpful." Jessica Lewis: "Ryan was extremely helpful and was able to provide a customized video tutorial to walk me through the necessary changes that needed to be made to our website." TJ Hoss: "Each time I have needed assistance, all questions were answered and assistance given in a timely manner. Thank you so much. I have recommended Sharefaith to every church I speak to and also to my social media groups." Cande Taylor: "I was so frustrated and my support tech stuck it out with me and got it straight! Thank you!" Ed Redekop: "Thank you for your wonderful service"
Debbie Baker: "I just wanted to post a note to say how much I love Sharefaith. We use them for our website and email. I just love how easy it is to use for a small church with limited knowledge of the workings of web design and email. The tech support group has been so helpful and kind to me as I am not very tech savvy. Thank you Sharefaith! You have been a blessing to our church." Pat Damiani: "Really appreciate the great help in switching our website over to the new Grace template and incorporating of a lot of the new features that are now available. Thanks to all that help our website looks better than ever!" Totten Jeff: "I didn't know the first thing about building a website but my church need a new one. I went to Sharefaith and with their help built our new site and I think it look good. Our worship team is using the program for our worship songs and it is working great." Chris Kirschman: "Thanks Sharefaith! We really enjoy all of the benefits of our partnering together. We use the Sunday School Curriculum, and teacher scheduling to plan out what and who is teaching. You all are amazing. God's blessings on you, and thank you for the amazing customer service! P.S. the App is great." Cecil B. Holloway: "Sharefaith has truly blessed the Greater Mount Moriah Primitive Baptist Church with assisting us in creating and MAINTAINING and great church website and app. They are timely, professional, and extremely helpful. If you are looking for a service to help spread the gospel Sharefaith has you covered." Buena Vista Baptist Church Lancaster: "Thank you Sharefaith for the complete package that you provide. Our website is a major part of our ministry and is viewed all over the world! We can highly recommend Sharefaith to any church looking for its resources. Also, thank you to the support staff! You are wonderful and always willing to help!!" Kaylena Janelle Little: "Sharefaith support has helped me out so much recently! Their support team is just want you'd want in 'support' - quick to respond, thorough, friendly and helpful. They have helped me with anything from website hosting support to Sharefaith Presenter support to setting up Office 365, which is probably a little beyond what they normally do, but they seemed genuine and happy to assist. I would definitely recommend Sharefaith to others." Don Archie: "Sharefaith is so awesome! The tutorials are amazing, helpful and very practical. I appreciate always using this service! I have used tutorials from many different companies and none of the compares to the standard quality and efficiency of Sharefaith. I am so grateful and feel well prepared." Melody Cheng: "We joined ShareFaith a year ago to renovate our church website. Not only is their builder easy to use, the support we got from them is just excellent! Praise God for their ministry!" Don Eberhard: "Sharefaith has an excellent support team and they have always responded quickly and were very helpful"
Toni Groshek: "I've had nothing but positive and speedy customer service from you! Thank you for making my job easier!!" Bob Langer: "The church I serve, Wilroy Baptist Church in Suffolk Virginia, has been with Sharefaith for 3 years. In that time I have not had a problem with the product or service. We are pleased with our website and the ease of maintenance. The new parallax template is very fresh and modern. Sharefaith, especially Chris, made the transition from the older template to the parallax as smooth as he could. Highly recommend!" Craig Brown: "Shawn was very responsive and knowledgeable. He did not point the finger or pass the buck but explained the problem and was confident of the solution to resolve our issue. Thanks so much." Tom Shaughnessy: "Question was answered and problem/error resolved. Thanks!" Tim Thurman: "Great Service, as always, Keep up the good work." Michael P. Jones: "I have been very impressed with how Sharefaith has provided fantastic customer service and support thus far. Although we are a fairly new account, they have treated us with the utmost respect and professionalism, and worked with us each step along the way to resolve some unexpected challenges. They have provided the excellent customer service and technical support we need and desire; plus, they have done of this with a genuine care and concern, and Christ-likeness in all of the communications. This is true excellence as unto the Lord. Kudos to the team at Sharefaith! You are doing a great job!" Pat O'Hern Polo: "A big shout out to Charlie who just helped us with our website question! Thanks again, Charlie!" Andres Lara: "Sharefaith provides excellent services! Great company to work with!" Angela Wood: "I just wanted to take a minute to share how much I really love and appreciate Sharefaith! My church signed up as a Sharefaith member almost two years ago and it was literally the best decision we could have made. The website offerings are simply amazing, the graphics are cutting edge and the children's ministry offerings are engaging, relevant and anointed. If that were not enough, the member coaches and support team are simply out of this world (#Heavenly). I know it may sound over the top, but trust me. This is a sincere post from a very happy customer. No matter who I call upon, Cristian, Chris, Charlie, or the host of other great staff members, my requests are always handled expeditiously and professionally. You can just sense that these guys love what they do, love God and love the company. God Bless you all. Continue to do great work for the Kingdom. I look forward to getting my mobile app and Sharefaith giving tools going at full steam this year!" Shameca Ashby Freeman: "Cristian is a wonderful coach!! He is very helpful and friendly! I feel very blessed to have him in my corner for my Sharefaith needs." Pastor Troy: "Partnering with Sharefaith is absolutely one of the best decisions we could have made as a ministry. Not only does Sharefaith make it easy to use their services, they also have a great staff! Robert thanks for providing us such wonderful support! You have opened a whole new world of ways we can enhance our site. God Bless you and the Sharefaith team!" Andy Russell: "Charlie is my new personal hero! He helped me through several challenges restoring features that did not translate during our migration, and was at all times knowledgeable, kind and encouraging." Patricia Foust: "EXCELLENT SERVICE....quick and easy!" Connor Osborn: "Love this website. It makes my job so simple sometimes." Rachel Jason Daniel: "Just had another great experience with Sharefaith customer service! Thank you Kristen for answering all my questions and getting our church set up with the Kids package for tonight's midweek lesson!!" Cory Chatham: "Chris... you're the man! Thank you so much for all your help today. Not only was I provided solid service/support/help, but I was given advice on how to streamline and improve the usability of our website and app. Keep up the good work Chris and keep coming with great products, features and content SF!" David Wylie: "I have never dealt with a support staff in any organization that was as quick, helpful, and knowledgeable as those at Sharefaith. They are AWESOME!" Carl Spencer: "Great service! Special attention to the situation was given, even to the point of preparing a specialized video to explain and show what to do to resolve the issue!!! THANK YOU!!" Melissa Armstrong: "My problem was fixed quickly, efficiently and politely. I was very happy with the support tech who worked with me." Dawn - LGT Ministries: "My team and I LOVE, love, love Sharefaith...the websites- the graphic library (which we heavily use). Your response to issues is and has always been quick, with any issues (very few) resolved quickly"
Dianna Hansen: "Seriously. I am so glad we subscribed. This is some of the best support and customer service I have ever experienced. Prompt, courteous, relentlessly positive and solution-oriented." Chris Kingery: "I have not had a chance to utilize the Sharefaith graphics yet. But, because I had such a pleasant experience with Christian in sales I felt I needed to come here first. He was extremely helpful, kind and offered some great ideas. If the product is as good as the customer service then I hit a home run today. Thanks." Corina Bowen: "I am so thankful for sharefaith and their support team! They are so helpful, patient and quick! Not only that but was totally amazed when one staff member asked if he could pray over a meeting I was getting ready to walk into to present using them. He prayed for God's will, if it meant yes or no whichever would be best and most effective for the ministry, mission, and kingdom building. Who does that??? What company??? But one with a true heartbeat of a servant? I am so thankful My Church has a broader family! The body of Christ is amazing. Thank you Sharefaith for representing Christ so well!" Evan Oxner: "We just switched our website and worship presentation software over to Sharefaith. I was able to get the new site up and running in a couple weeks, the presentation software has been easy for our techs to learn, and when I asked about a billing issue, they quickly took care of it. I'm glad we made the switch." Angel M Armstrong: "Just got off the phone with Sharefaith tech support...they are AWESOME, super friendly and talk to you like you're a HUMAN, haha! Maybe you're super "techy" and don't need any help...but if you're like me and "know just enough to be dangerous!" give them a call! Website upgraded, domain hosting transferred...Done!" Drew Jones: "Sharefaith has been a wonderful resource for us. If there is an issue or question, they have been fast to respond and always have the best customer service." Shirley Waters: "Our church, First Free Will Baptist Church, Dothan, uses Sharefaith for our website, graphics, bulletin and newsletter covers. Sharefaith has the best support staff that I chat to online when I have questions regarding my website. They always resolve my issues! That is the #1 thing I like about using Sharefaith." David Coomes: "Our Church, New Hope Baptist, just joined Sharefaith and had our website migrated by them. We now have a nice looking, functional and easy to update website for our church. Sharefaith's personnel kept us updated through the process and worked with us to make the transition very smooth and painless. These folks are truly a blessing for any church. Also our children love the Sharefaith kids bible lessons!" Flemena Barnes: "Simply said, essential and excellent! Tried it; love it! You will, too." Matthew Christy: "I needed some help with one of the products on our church's site and was helped by the most helpful customer service rep. I am not sure I can list their name but it was a great pleasure working with them. Many of these sites have the same products offered, but it truly is Sharefaith's people that make them stand out." Corina: "I have been so blessed with every person I have spoken to here! Thank you so much for all your hard work and dedication! You reflect Christ in every thing you do." Ann Villanueva: "Your materials are totally awesome! Really love it! Thank you so much for your hard work. More power and God bless!" Barbara Krajewski: "In these troublesome times for our world, we're very thankful for Sharefaith's provision of a wholesome, faith-based website option including a staff that follows Jesus." Daniel Key: "Your customer service is head and shoulders above my current host. It often takes a week to hear back. Thank you!" Pastor Tom De Groot: "This was by far the best tech support experience I have ever encountered. Thank you for the quick help and immediate solution to my mistake!" Angela McBride: "Sharefaith website has helped our church reach out to the community. It helps keep everyone informed about upcoming events. It has made registering people for events so easy. I really like the donations form and events fee form. Shawn, a member coach was great help with an issue that came up. So glad I ran across your company. Thank you"
Chris Blackburn: "Absolutely the best resource for children's ministry I have ever used. We have been completely satisfied with the products and the service we receive. If you are looking for a great children's ministry resource, check Share Faith Kids out today!" John Norris: "These guys provide easy-to-use website templates, and they have awesome support, very responsive and helpful, always go the extra mile to fix any issues and provide ideas." Lisa Trump: "I am so pleased with the great attitude of the coaches I have worked with. I always feel empowered and never feel stupid for asking a question. The tutorials are extremely helpful too!" The Mission Church: "Sharefaith has been a really good company for The Mission Church to work with. Shawn, in tech support has been outstanding over the years. His first rate service is courteous and is backed up with profound product knowledge that allows him to quickly tackle any issue we’ve faced. Thanks Shawn!" Lorri Reyes: "I just want to say THANKYOU!! to the Sharefaith team (specifically Cristian) for the latest help in building our church website. The people speak and Sharefaith is listening. Thank you so much for the tutorials specifically tailored to our website and to me! It has helped me tremendously!" Amber Fine: "Christian in tech support ROCKS! He quickly and proficiently identified and fixed my issue saving me time and frustration. He is a true asset and blessing to the company and clients alike." Steven West: "I had some questions concerning our church's website (gracewaymlb.com) and the display settings via mobile devices. I spoke with Robert yesterday evening and he did some trouble shooting on our site and remained professional in our 50 minute conversation! Awesome job Robert & awesome product Sharefaith!" Tamar Eisenmann: "Thanks Sharefaith for your amazing ministry! You are helping ministers share the gospel in culturally relevant way- just like Jesus did. Your beautiful media tools & graphics capture the attention & imagination, drawing people closer to God. I've been so blessed to use Sharefaith's graphics for Pray2Revive, a ministry that unites believers in daily praying for personal & worldwide revival. Before using your graphics, our prayers reached about 200-400 people per day on Facebook. Since using your graphics, Pray2Revive's prayers reach about 9,000-14,000 people per day! People in 35 countries are now praying & sharing these prayers for revival. Thanks for helping us unite believers in prayer! May God bless you!" Roman Varakuta: "Your service is absolutely outstanding! Our church just took it to another level in one month using your product. Thank you for such an excellent service. The tech support team is the best I've seen in dealing with problems and being upfront if a feature is not available or being worked on. Please keep it going with the new features our church appreciates this asset so much (especially because we don't have to explain anymore how to add our podcast-we have our own app)." Living Word Christian Center: "Thanks for the awesome tech support that you have given to us. You guys rock!!!! Stay Blessed." Sarah Thompson: "Thank you for your help Charlie. Already, this website is much easier to use then our old one! And the customer service is A++ Have a wonderful day! " Denise Daniel: "A huge thank you to Shawn and the ShareFaith team! I was having trouble with our website for a few weeks and Shawn worked tirelessly to find a solution. He was always friendly and helpful and responded quickly to my messages. The customer service at ShareFaith always exceeds my expectations. Just another of the wonderful ways you serve!" Ashley Steelman: "I work for a small but growing church in central KY. Just wanna take a second to share some of the things I love about Sharefaith with others that may be interested in using Sharefaith. For starters- I LOVE their support team. Always friendly, always knowledgeable, and always willing to help. And they speak in easy to understand terms- which is AWESOME for a newbie to anything remotely tech related. The guys in support ROCK!. Next, the website builder was very easy to use (again this is coming from a total rookie) and the tutorials explain everything in a step by step way which made building our new web page super simple. The graphics that are offered are always top quality and it is always easy to find something to fit whatever purpose our church has whether it be bulletin covers, church newsletters and flyers, or presenter and PowerPoint backgrounds. Lastly, the children's ministry curriculum has great, super quality videos and lesson materials. I would recommend Sharefaith to everyone!" William Beaver: "Sharefaith has been such a blessing to me and the congregation I pastor for several years now. Today I continued to experience the expertise and hospitality my church and I has come to expect from this wonderful company. Thank you Cristian, for all the help you gave me in answering my question and solving my problem with our website. You and your company are awesome!" Dianna Hansen: "Seriously! GREAT media & EXCELLENT response from their support. (Shout-out to Charlie!)" R Pat Damiani: "Thanks for the great help today Cristian. Your customer service rocks!" Lydia Jonas: "Sharefaith's tech support is so #AWESOME just got off the phone with Robert who was such a #GreatHelp to me with my church's website. Thanks Sharefaith and Robert for your help. I appreciate you taking the time to walk me through what I needed help with." Tim and Brenda VanLandingham: "We at Pavo Baptist Church, Pavo, GA are so thankful for Sharefaith's ministry. Though we are a tiny church in a very small town in southwest Georgia, God is using PBC mightily in our town. Sharefaith has made it possible for us to have a phenomenal website that we can tailor to our needs. Thank you, Sharefaith, for your "ease of use" design, and for the fantastic team members like Member Coach Charlie who are patient in handling low-tech people like us have a quality website." LaShaye M Floyd: "Enjoying the great customer service. This has been one of the best experiences with support services from a company that I can remember having in a long time." Sandy Bishop: "Thank you so much for the great customer service. Kristen was very helpful and we soon had everything taken care of. We appreciate what you have done to help us with this new website." Sandy Taylor Winkler: "Sharefaith is a great company. We have worked with them for approximately 5 years now. They offer great products for media, background worship loops, sermon videos, welcome, countdowns, etc..... Their websites that they offer churches are very user friendly and look very professional with a wide variety of themes. Tech support is great!! They also offer Sunday school literature for children which we have recently signed up for. I highly recommend Sharefaith for your church needs. Two thumbs up!!" Steve-Yvonne Carlson: "I have never encountered a group or business with such genuine Customer Service! They are not only good at explaining things to a non-techy person (me), they are cheerful when doing it! I'm looking forward to this partnership with Sharefaith on behalf of our church!" Jonathan Dirks: "I’ve been with Sharefaith now for at least two years. I cannot tell you how often I have needed a worship background for a song, or a sermon series lineup of graphics for PowerPoint / web banners / Facebook, etc. and the first place I hit up is Sharefaith. Honestly, there is no other place. I know “other” places exist, but there is just no need to go elsewhere. This is the one-stop place where I know I will find high quality, superb graphics for my needs. I cannot tell you how often I have been able to find something online with you, tweak it to fit our needs and people look at the work and find it wonderful. Today I had the distinct pleasure of talking to Cristian and he was a joy to talk to and work with. He gave me a little history of the company. Pretty much after talking with him I want to know when I can work for you guys. Just simply “amazing.” And that word really doesn’t begin to describe it. The products, services, support and the quality of it all makes you guys look like you are 5 times the size that you really are. I guess to be fair, Sharefaith allows me to make our church look 5 times the size it is. This year, we only needed to be on the Media package…but the last couple years, we have been on the Kids Package. We just did not need the Kids package “this” year, but the future could change. I had Cristian help me downgrade my account so that I could renew. Was bummed that I missed the Black Friday special, but knowing what I know of the company now, I am most honored to be a part of Sharefaith and be able to support it. I will continue to look at the program / package, and if something is added that our church needs, I am very confident that I will be calling again. Anyone that is looking for a high quality company – THIS IS IT. Without a shadow of a doubt. Sharefaith has blessed me so much and I continue to pray that God blesses Sharefaith and their efforts. Thank you Cristian, for your time today. Thank you Sharefaith, for being there." Paul T Charles: "I have just been going over our website and Cristian took me through some of the options that we have with our site. I love how easy it is to update and how nice it looks. Thank you!" First Baptist Church Anchorage: "We recently joined Sharefaith to give our website a badly needed upgrade, and are we ever so grateful that we did! The editing was extremely intuitive and easy to start. Most importantly, when I goofed the process to tie our old domain to the site, the Sharefaith support stepped in and helped me fix my error in a quick, courteous manner. This team uses their talents to help churches make an even greater impact in their communities for an affordable cost. Thanks so much Sharefaith! We look forward to using your resources to help us reach our community here in Anchorage, Alaska!" Cecilia Gonzales: "Words can not express how pleased I am with Sharefaith. I am technically challenged with website design, social media and all that goes with it. The tutorials are very helpful but when I get stuck, I can call the support line, talk to a REAL person to walk me through the steps needed to get my website looking like a professional designed it. God bless!" Stephen Ranno: "Extremely happy with our website from sharefaith. But even more impressed with their support system, extensive range of tutorials, plus quick response support from trained technicians. Had a fantastic experience with support person Ryan, he was so helpful and clear, even made a tutorial specific to my need! Very impressed, I highly recommend!" Amber Dailey: "I absolutely love this service!!! Use it every week." Narcisse Francis: "I highly recommend Sharefaith. It is very useful and makes creating a website an easy task. They have a great customer service team." Becky Lazos: "I use Sharefaith every week and get lots of compliments on both my Newsletters and PowerPoint Presentations! Lots of different ones to pick from and user friendly! Thank you Sharefaith for doing a wonderful job." Lisa Burnette Baker‎: "The Sharefaith team is great. They are very helpful and instructions and tutorials are easy to follow. I feel truly blessed to be able to work with this team." Safeharbor Christian Church: "Sharefaith is always a phone call away when we have questions or problems. The staff are incredibly friendly regardless of who you speak to and do their very best to help. We are happy to be new customers of their service." Ed Norris: "Just got off the phone with Cristian a rep at Sharefaith. First thing I noticed about him was his upbeat and encouraging tone. Second, once I shared my issue with him he immediately told me the simplest way to address my issue, and it WORKED! Hallelujah. We are a small church plant and used another service for our worship motion loops and still backgrounds. Wanting to be the best stewards of our finances we researched and studied the different options available. By far Sharefaith offers the best value. We haven't used all the resources Sharefaith offers, however as we grow and move forward we will be looking at all the options they have to offer. Looking for a GREAT resource, you found it in Sharefaith." Evan Johnson: "My church recently started using Sharefaith for our website. We have been so thankful for the easy of use and the support of Sharefaith. I am not a tech person but in less than an hour with the use of the tutorial videos I was able to build the current church website. Thank you Sharefaith for all you do." Jane Butler: "Absolutely LOVE Sharefaith. The graphics are so customizable, modern, relevant and applicable for our ministries (as well as many others!) Their memberships, customer support and accessibility make each project seamless. 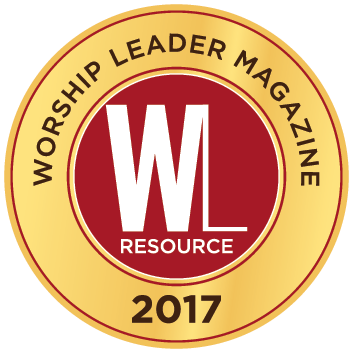 We are so thankful for use them as a resource and tool to help us continue to impact the Kingdom for God's glory." Michelle CP: "Excellent support! A special shout out to Charlie!" Denise Daniel: "Sharefaith: You not only have fantastic resources, but your customer service always exceeds my expectations. I always receive a quick response, everyone is pleasant to deal with, and things get resolved quickly. Keep up the good work!" Janice DeBolt Hedman: "Can't say enough good about Sharefaith! Everyone loves the look of our new website, and all members of support have been super patient and knowledgeable with this "technically challenged" member. Very satisfied!!" Orange Friends Church: "Sharefaith is awesome! :) We have been Sharefaith members for several years and have gotten SO much use out of your wonderful selection of graphics, videos, and PowerPoint templates! Each week, I am excited to login to see what new looping worship video backgrounds you have added since the previous week! :) We use your graphics on a daily basis for church advertisements, printed materials (brochures, posters, postcards, etc), email newsletters, our website, our social media sites, the basis for our sermon PowerPoint templates, and use your looping background videos as a backdrop for our worship lyrics during our Sunday morning worship service. Just recently, we switched over to a complete Sharefaith membership and are in the process of designing a new website and creating a mobile app for our church using Sharefaith. We just wanted to stop by and let you know how much we appreciate your company and your wonderful technical support staff! Particularly, Cristian, who has personally attended to several requests of ours and answered our questions...not only very promptly, but with a wonderful, helpful attitude! Thank you, Sharefaith! You make it easier for Orange Friends Church to connect those around us to Christ! --- Julie Pickering (Website Manager and Communications Coordinator at Orange Friends Church)"
Kelly Garver Nieto: "I can't tell you how awesome it is to have Shawn and the rest of the team at Sharefaith Support when you have technical issues. They're kind and courteous...and very efficient! Thx everyone!" Tracey Smith: "I truly love your company. Been using your graphics for years and am now looking into your website. Kristen has been great with her support. Keep up the good work!!!" Matt Roberts: "Working on the new church website today and I must say Sharefaith is a great company to use. Easy, fast and user-friendly." Lisa Latham Nelson: "Thank you so much for your excellent customer service! Last night I requested assistance through your website, and the issue was resolved in no time, while I went about my business instead of holding on the phone :) I LIKE!" Jaleesa Elston: "Great company and support is top notch! Charlie is a great help when I have questions!" Leeanne Gibson: "Hello Sharefaith! I am currently working on building a website for my church with your platform. I just wanted to let you know that I am beyond happy with the support and how easy your platform is to work with. I have spoken with different support agents during the building process. I just spoke with a very nice gentleman by the name of Charlie. My church loved the Grace theme but wanted the nav to link to separate pages rather than scrolling down on one page. He was very helpful by suggesting the perfect theme and also sent me helpful links for undoing pages and to set up the online giving. Excellent job! I also love the stock photos...beautiful, God bless you all at Sharefaith! Such an amazing team :)"
Heather Reeves: "I have to tell you all how much I appreciate your company! I have called several times here lately working with Michael, Christian, and Kristin; all of which have been AMAZING! My church has a Sharefaith Account website, and I needed to have another website set up for our new daycare. I've been experiencing some stress on the homefront that makes it difficult for me to think at times, and Christian has been so very patient. Even yesterday, I had to abruptly get off the phone with Kristin because I became suddenly ill, but I called right back hours later and started where I left off. The graphics that are included in our package make life as a designer easier and allow the transitions to go smoothly. The stock photos save money and time when I'm in a hurry. My dad was diagnosed with lung cancer, but when the [doctors] went to operate yesterday, they found NO cancer!!!! I felt that Christian was as excited as I was for God's amazing miracles, and appreciated his offer to continue praying for my dad as he recovers in ICU. My technical issues were solved when I got off the phone issues, and my blessings box was full. The pleasant conversation and encouraging words of faith were priceless. Thank you for your company, your employees, and your spiritual walk." Deniel A. East: "The folks at Sharefaith are awesome!!! Great Products and Great Service!!!" Ralphette Murphy: "I absolutely LOVE Sharefaith. We are a small church and understand the need to have such tools at our disposal for use during service. I've used several other products over the years and Sharefaith by far offers a wide [range] of tools that can be used across several ministries. If I have a question, it is easy to get in contact with someone from tech support without the need to sit on hold waiting for someone to answer your questions. Thank you Sharefaith team for the tools that you've created. It is truly a blessing to our ministry." Dawn Anderson: "Let me list the ways Sharefaith makes me look like a superstar; worship graphics, PowerPoint presentations, website support, videos, and all of the graphics that make communication with the congregation so easy. Thank you for the unending support with our website and the so gentle nudges and webinars to help me keep learning and modernizing our media. And most importantly, thanks for the prayers and making me feel that I'm a part of this awesome ministry and terrific family of brothers and sisters in Christ. I can't wait to see what we can do next!" Cory Chatham: "So thankful for such an amazing organization! Thank you for doing what you do to help make what we do as churches so much easier. We just launched a new website for our church using Sharefaith and are so happy with the result and all of the content that is included with the full membership. Not only that, but the support is phenomenal too, whether it's tutorials, chat or a live person (Shout out to Christian for all your help!). Keep up the awesome work and again, thank you for helping us in our ministries through your ministry at Sharefaith. From our Family at Grace Baptist Church in Chino Valley, AZ to yours!" Nicky Fowler: "I just had to give a major shout out to Charlie in Customer Service; he's been helping me build and launch my church's website, and he's amazing! He's incredibly patient and willing to walk me through any question (even when I forget the answer and have to chat again the next day!) I couldn't be building all of this without him. Thank you!!!!" Luis R Vizcarrondo Moctezuma: "This is the best customer service company... and they are a true Christian company. I am impressed with their services. Thanks to their support group! Blessings!!!!!" Ashley Stephens: "Special shoutout to your tools and your support team for helping us launch our brand new website this week! Every bit of hard work is worth it in the end when things GO LIVE! :) You guys are awesome!" Rebecca Speulda: "I'm not a 'Computer' person. There are so many terms and things I just don't know or understand. I appreciate that Sharefaith has a Customer Service team that is quick, helpful and can fix the problems without me having to know or understand how the repairs were done. Can't thank you enough for saving me endless amounts of time and frustration." Cornerstone Evangelical Free Church: "The help I received from Sharefaith today was QUICK and EXACTLY what we needed to solve a problem that had been bugging our website viewers for quite some time. THANK YOU!!" Beth Laney: "I am SO thankful that our church made the decision to go with Sharefaith for our new website! I have been overwhelmed by the generosity and helpfulness of the Sharefaith support team! No matter what I need, Charlie (our member coach) has always gone over and beyond to help me. The customer service alone makes the switch to Sharefaith worthwhile. We are so pleased with our new website, resources and the Sharefaith family. I wish that we had made the move a long time ago! I would highly encourage anyone to use Sharefaith if they are considering making a change." Dee Elliott: "I submitted a ticket for 7 things. And Customer Service turned it around and did even MORE than I had asked for! I really do like Sharefaith - especially that it has such a faith-based ministry of a business!" Micah Walls: "HEY Sharefaith! Give this Ray guy a raise! He did an amazing job helping me today. We were both frustrated that the last step didn't work and he said, "Lets try this." And what do you know, IT WORKED!!!" He said this is a weird thing to happen and it might help, no guarantee, but it did! He said, "Praise God!" And that's exactly what we needed to do. God was helping us...PRAISE HIM! Thanks so much Ray! Sharefaith your customer service is GREAT! Thanks guys!!" Grace Lutheran: "The website tools and hosting alone are a great value. I have always found staff to be helpful." Merna Frederick: "I was looking up something and found this site and I find it very encouraging. The link I read dealt with our direct access to the throne of God because Jesus made it possible when He died on the cross. Thanks very much for being there and being a blessing to, I am sure, many. May God continue to bless as the Word is spread abroad." Gordon Deuel: "Sharefaith thanks for the prayers today and for serving churches with great tools to grow God's Kingdom." Marcia Carr: "Sharefaith is the most awesome userfriendly inexpensive membership you could ever have. Sharefaith offers so much with all your church administrative needs in one place including offering a church website. I love my Sharefaith membership." Lori Willey: "I have been using Sharefaith for media, web and print production for years now. Graphic Design is part of my job and I am particular about the look and feel of visual products that we use in our service. I feel that quality and excellence should be consistent throughout all media in a church. It simply reassures and brings comfort to those who enter the doors of the church that we care to stay in touch with what inspires them today. Across the board, whether I am pulling a worship background, setting a banner on the website or prepping bulletins and newsletters, I am always confident that I will find what I need through our Sharefaith membership. It is not only a one stop shop for media products but also a one stop shop where peace of mind, pride in your final product and effective time management go hand-in-hand with the services they offer. " Becky Rickard: "The technical support team has especially been helpful as we set up our new website. They will answer any question, no matter how trivial it may seem!" Christian Spencer: "Awesome, easy to edit , beautiful, tasteful, Christ-centered, a great way to reach the world, and a blessing to our people. Thanks!" Pastor Steve DeGrof: "We are a very small church on the coast of Maine. I wanted to have a web presence and Sharefaith was definitely the best value. People love the site and the good look." Deborah A. Mitchell: "Sharefaith is the source of inspiration for all my Sunday bulletins, flyers and any other graphic work I do and has been so for 5 years now! Thank you!" Carrie Espeseth: "We have appreciated the Sharefaith tools. After looking and debating for a long time for just the right website, it was the ease of use, professional look, and the portrayal of the Message that won us over!" Frank Chyz: "We discovered Sharefaith in 2012 and joined almost right away. Love the great PowerPoint sermon and worship graphics plus web design options. Highly recommend Sharefaith." Christine Wassmuth: "Not only do I like and use a lot of the worship backgrounds for our church powerpoint presentations, I enjoy reading the lots of wonderful tips that are posted on the website." Brian Vickers: "We've used Sharefaith for over a year now and have benefited in so many way. Thanks for what you do Sharefaith!" Alisa Flinders: "I am in my second year of membership. The quality of the media graphics and images really enhance our service presentations and the bulletin that goes with it. I have also used some of the sermon power points and video loops as inspiration for themes when leading worship with the adult congregation. Went down really well at family Father's day and Christmas services as well. As a lay person (I am not salaried by the church I volunteer) I also find your comments in the newsletter useful to mull over and reflect on my ministry. Thanks for all you do." Steve Mathwig: "I have been a member of Sharefaith on and off for a few years. I found the PowerPoint sets especially useful in doing preservice announcements. I really like the themed sets, many with a welcome and Have a good week ending slide. Very helpful." Donna Lorenz: "As the graphic designer for a large Catholic school board in Ontario, I'm often looking for faith clipart and photography. Sharefaith is my go-to website every time. I can always find what I'm looking for." Walter Cisneros: "Using Sharefaith for several years beginning with PowerPoint worship backgrounds and recently have purchased web site service. We are very pleased. " Luke Douglas: "I really appreciate the Sharefaith staff for creating excellent PowerPoint presentations, videos, website materials, and other Christian media. The PowerPoint slides give an extra touch to the Sunday services." Ken Williams: "I am the creative media director for Freedom Worship Center in Soddy Daisy, Tennessee (GO VOL's). ShareFaith has been a huuuuuge blessing. No where else do you find the ease, the selection, and the support like at Sharefaith! I've told all my other church creative peers to go with Sharefaith." Jason A. Gaines: "We have used Sharefaith for about 4 years, and without a doubt, it's the number one resource for our website/media needs every week!."